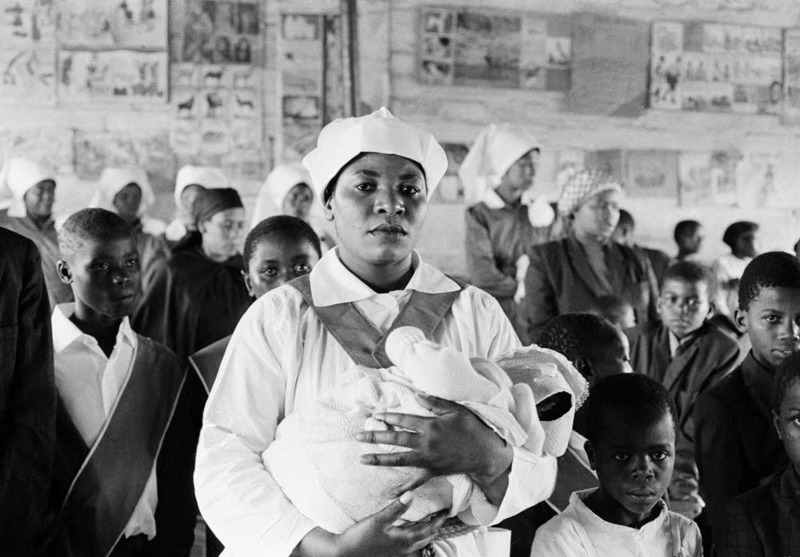 Holy United Methodist Church in South Africa. 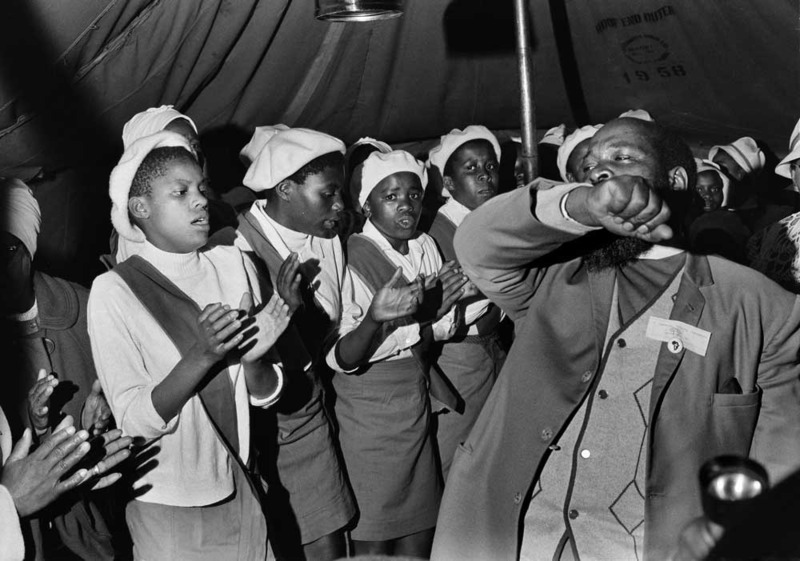 Members of church choir, at a Sunday morning service in a hired school class-room in Chiawelo, Soweto. This section contains images of three churches described in some detail in Martin West: Bishops and Prophets in a Black City, chapter 3. Chosen fairly arbitrarily, these churches exhibit typical characteristics of African independent churches in Soweto. 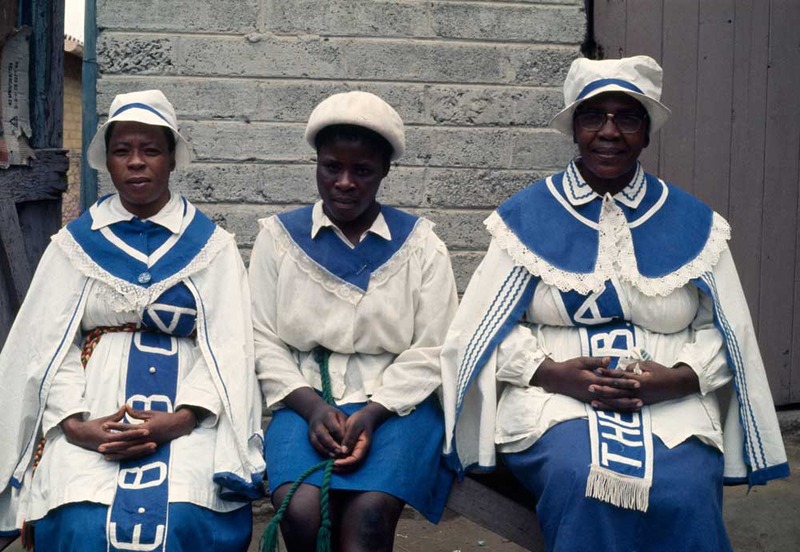 The first two are broadly Zionist-type: the Bantu Bethlehem Christian Apostolic Church (BBCAC), and the Apostolic Full Gospel Mission of South Africa (AFGM). The third was Ethiopian-type: the Holy United Methodist Church (HUMC). More images relating to the Three Churches section can be found in the collection or through using the advanced search.